A new Mexican eatery offering breakfast and lunch has made its debut in the neighborhood. The fresh arrival to southwest Houston, called Tamales Don Pepe, is located at 3816 Link Valley. 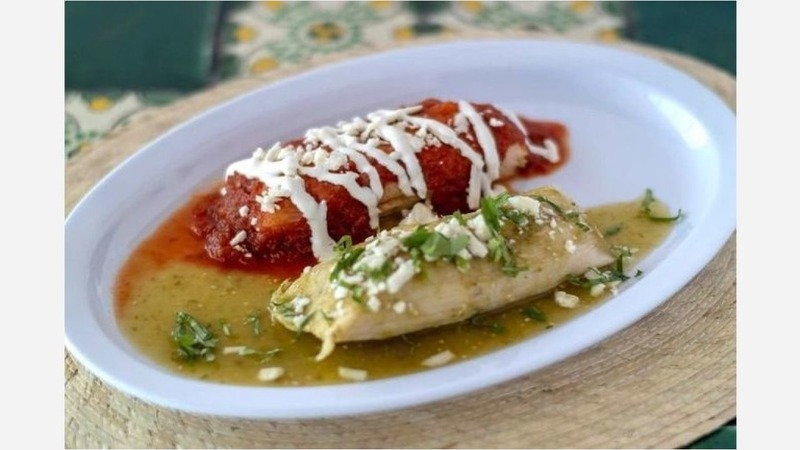 The restaurant specializes in handmade tamales with options such as chicken with red sauce, pork with green sauce, chicharron, black beans and queso, and tamales oaxaquenos (chicken with mole wrapped in a banana leaf). Enchiladas, fajitas, empanadas, flautas, tacos and quesadillas are also available. It also serves up a wide selection of breakfast fare with Mexican classics like chilaquiles and huevos rancheros along with waffles and platters of scrambled eggs and meat served with refried beans, potatoes and tortillas. With a five-star rating out of seven reviews on Yelp so far, Tamales Don Pepe seems to be making a good impression in the neighborhood. John B., who reviewed the new spot on May 20, wrote, "Rene Hidalgo (aka Don Pepe) and his wife, Yolanda, bring new life to the Mexican cuisine scene. If you are looking for some tasty classic Mexican food, look no further! All of the items on the menu are prepared with high attention to detail and great care." Jocelyn R. added, "Love it. I've been looking forever for a tamale place here in Houston. I went to try this and they are delicious. Super soft. Have enough ingredients inside. Will be my place to go from now on."